The hospital finally relented to neighborhood pressure and relocated a generator at its entry. 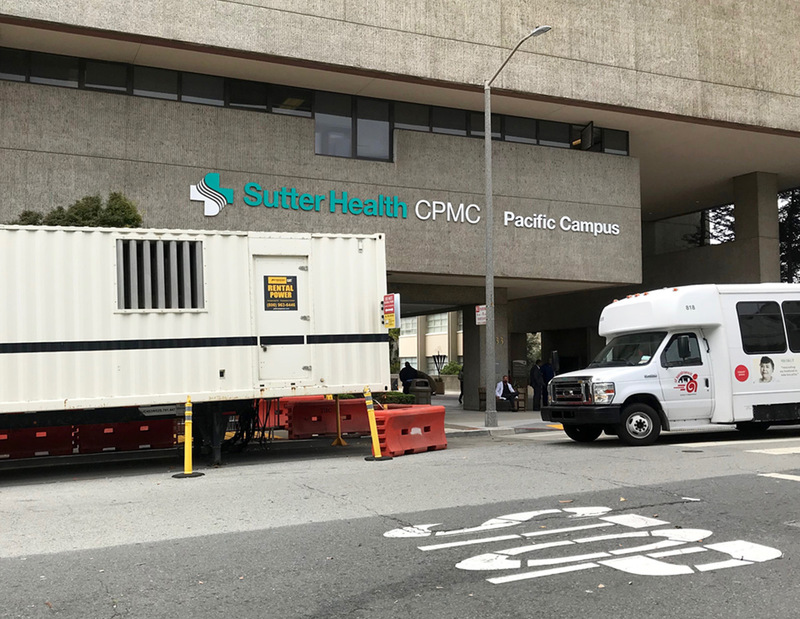 CONTRARY TO EARLIER PLANS, California Pacific Medical Center now says it will scale back its operations in the neighborhood when a new state-of-the-art hospital opens next year on Van Ness Avenue. Patients are expected to move into the new hospital in early March. The current hospital will then concentrate on ambulatory care for patients who do not require overnight hospitalization. That will bring a reduction from 2,100 to fewer than 500 employees at the existing hospital on Buchanan Street, administrators say, and an expected 30 percent reduction in the number of people who visit the current complex. There will be fewer doctors, too, and the emergency room will move to the new hospital. Earlier plans had called for an expansion of facilities in the neighborhood, including a new building for ambulatory care on Sacramento Street, where the aging Stanford building now stands, and a new parking garage. After the new Van Ness building opens, the hospital will close its facilities out on California Street, near Laurel Village. Some of those operations, including women’s health and breast cancer specialists, will move to 2333 Buchanan, along with some outpatient surgery. But the fourth, fifth and sixth floors of the current hospital will be left empty, administrators said. Neighbors who attended a community hearing at the hospital on July 11 were skeptical that hospital administrators were telling the full story. “To think that three floors of prime property in this neighborhood are going to be left empty defies belief,” said one.